I always love when other bloggers give a peek into their everyday lives, so I thought it’d be fun to share a day in my life. It’s sometimes frustrating that Mil and I are thousands of miles apart, because no matter how much we talk over the phone, it’s still difficult for me to get a sense of what her normal days are like. Maybe next year we’ll institute “Take Your Bestie to Work Day.” Alternatively, Mil could probably bring me as her daughter…Also, please note that this is a totally real and unedited version of my life including my beloved baggy sweatpants and weirdo snacks. No judgement y’all! 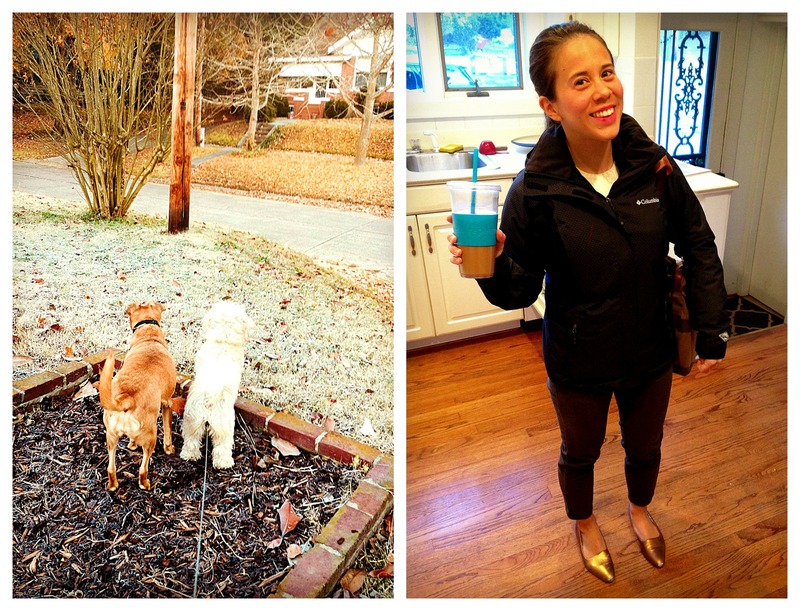 6:00 am – Wake up and head downstairs to let the doggies out. We have the absolute best alarm clock that makes it doable to pop out of bed right when the alarm goes off. If you don’t have a Phillips Wake-Up Light, you need one! After the dogs have done their thing, I head back in to knock out breakfast and my 7 minute workout. Then a quick shower, swipe of lipstick and blush, and I’m out the door with my coffee in hand. Currently I’ve been using “Soy Nog” in my coffee and it’s just delightful. Somehow I look really tan in this picture. I’m not, but let’s go with it. 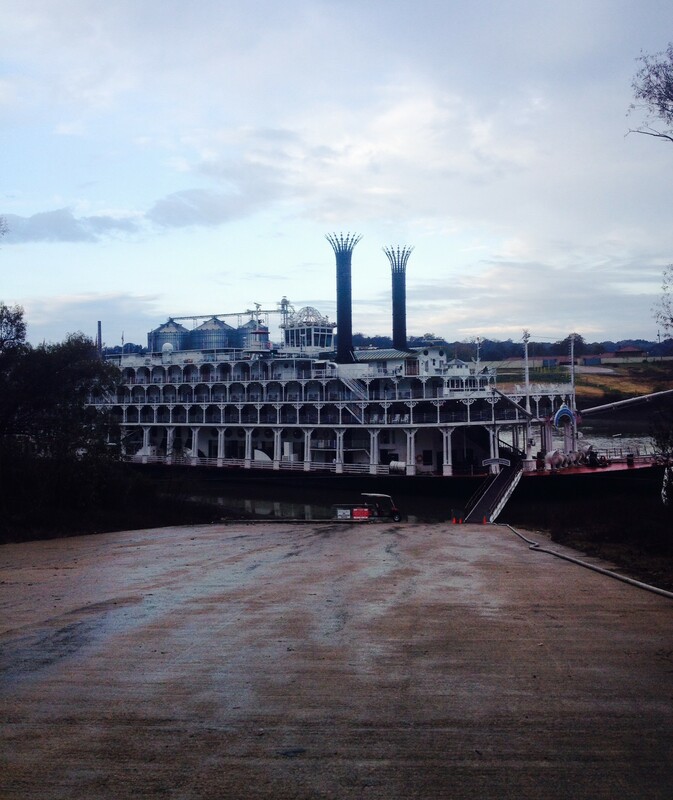 7:30 am – Pull up at our River Park to meet the American Queen Steamboat. This upscale riverboat cruise travels the Mississippi River, stopping in Helena on their northward route. I’m not sure if I’ve mentioned what I do before, but I’m the Director of Helena’s Advertising & Promotion Commission. I handle our city’s marketing and tourism related events and activities. Every time the boat stops, we help coordinate the passengers’ shore excursions throughout our town. For more information about what Helena has to see and do, visit our website: www.VisitHelenaAR.com. 9:00 am – After the tours are set in motion, I head downtown where we’re in the thick of decorating for Christmas. Today we’re working on the park. I spend the next hour or two wrapping garland around light poles, hauling lights out of storage, and tracking down a SkyTrak forklift to string lights in the trees. A big thank you to Larry Delk & Associates for the loan. 11:00 am – Start getting hangry, so I hit up my stash of snacks squirreled away in my glove compartment. I have a weakness for protein bars – aka “healthy” candy bars. Balance Bars and Cliff Builder’s Bars are two of my go-to brands – the Chocolate Mint Builder’s Bar is my absolute favorite. 12:00 pm – Still hungry, so I head home for lunch, which is an entire minute long drive from the downtown. 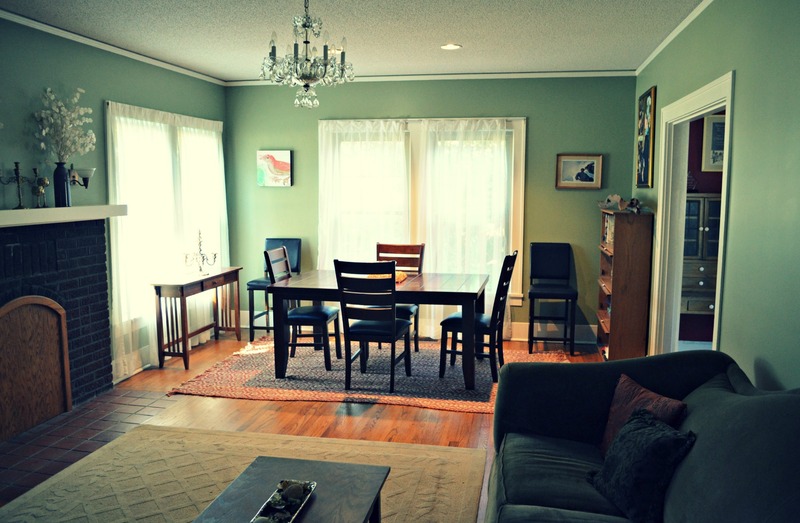 I love being able to eat lunch at home, as soon as I sit down in our dining room for lunch, I just relax. Our fridge is stocked with leftover pork loin from yesterday’s dinner, so I hit those up along with a banana and almond butter. On a normal day, I eat at least two bananas with almond butter. God bless almond butter! After lunch, I take the doggies out for a quick run around the yard, then head back home with my daily Diet Coke. Yes, I know it’s poison in a can (sources 1, 2 & 3), but I’m completely addicted. My justification is that it’s my only vice, but I’ve been thinking about making a New Year’s resolution to kick the habit. 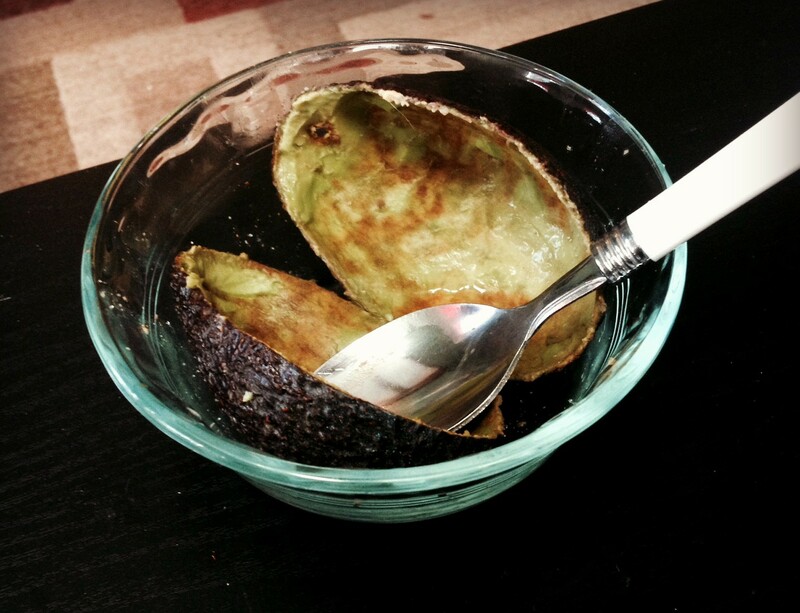 2:30 pm – Break into my afternoon snack of an avocado. Yes, I know it’s weird, but I probably eat three to four whole avocados a week. I love them either with lemon juice and salt, or soy sauce. I sometimes wonder what everyone else in my shared work space thinks of me. I also drink green tea in mason jars, which really ends up looking like pee. 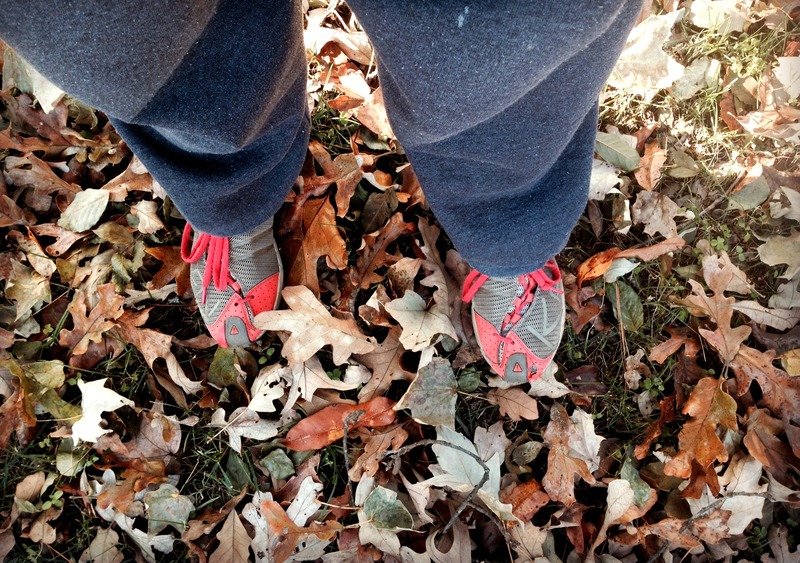 5:30 pm – Change into sweatpants and sneakers and head to the track for 45 minutes of leisurely walking. I have a few podcasts I regularly listen to, to help me unwind at the end of the workday: Slate’s The Gist, Balanced Bites, This American Life, and I just started the first episode of Serial. For some reason I find it incredibly soothing and meditative to walk in circles. 6:30 pm – Head home to meet Nick and pull something together for dinner. Nick decides he’s in the mood for Mexican, so we grab a booth and a bite at what is probably our favorite restaurant in town, El Rio Lindo. I almost always get the chicken soup or shrimp fajitas, and Nick ALWAYS gets the Enchildas Supremes with chili verde. We also always sit next to each other in the booths, mostly so we can talk without everyone in town hearing about it. 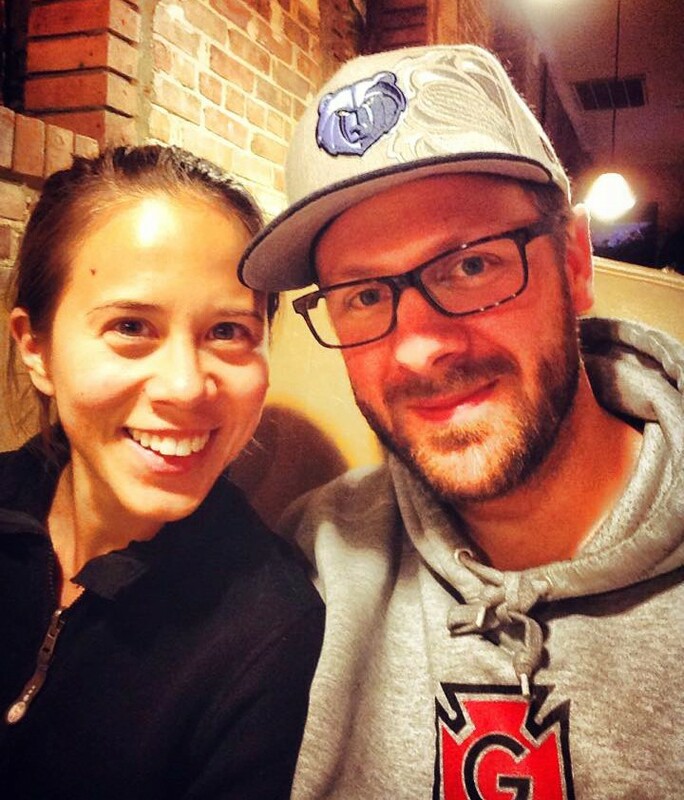 Nick and I actually met in Rio Lindo, and our rehearsal dinner was held there too. We had a pinata and it was awesome. On a side note, please observe the shiny spotlight that is my forehead. Even though I usually swipe some powder on my face in the morning, without fail I look like this at the end of the day. Actually it seems like no matter what make-up I apply in the morning, by the end of the work day it has completely vanished. I guess that’s what “touch-ups” are for, but I have yet to be motivated enough to pack a make-up bag to carry around with me. My apologies to anyone I’ve ever temporarily blinded with my forehead. 8:30 pm – When we get home, we let the doggies out for some playtime before they curl up for the night. Before bed, Nick and I usually read or dink around on the internet. Sometimes one of us has work to complete, but luckily tonight is work- and worry-free. I’ve been trying to catch up on this month’s book club book, A Separate Peace, but for some reason have been having a hard time getting into it. 9:30 pm – Get ready for bed and then get in bed! About a year ago we purchased a king size memory foam mattress, which has been one of the best uses of our money to date. My husband is 6’5″, so he takes up a lot of room. I’m only 5 feet, but I don’t like anything or anyone to touch me when I’m falling asleep. Is anyone else like that? Having a king size bed gives us all the room we need, and then some. It’s actually kind of like having separate beds that are pushed together. We can get our cuddle on in the middle, but when we want to sleep we roll over to our respective sides of the bed. Sometimes we are so far apart that I can’t even tell if he’s there! Well that’s all folks, my daily (and not too interesting) life. If you’re a blogger and have done a similar post, please share below, mostly so I can be nosy! Thanks, and oh please do! I want a peek at life in the UK. Bring Your Bestie to Work Day = excellent idea! This was really interesting to me! Except I need to eat earlier in the evening!! And I get up at 5 am, but go to bed by 9 pm!! AKA, I am boring!! I forgot I was having dinner with Nick the day he met you at Rio. I was with him and two other people. Tim came by to say hi and Nick pushed him out of the way so he could meet you. Nick then spent the next 30 minutes with you while Tim got stuck with Nick’s dinner companions. 🙂 He was smitten before you actually met if memory serves me well.